In some individual sport tournaments, such as a collegiate or junior event, players compete as a team and earn points based on how far they advance in the bracket. The director can set bracket tournament points and assign a numeric value for making it into a specific round. When an event has multiple categories of tourney brackets, the open or top level division participants usually receive more bracket tournament points for advancing to a specific round compared to the lower novice divisions in the same round. From the media section on the event website, users can generate reports with the player tracking tool. The director can also get to these reports by going to the live event section when logged in as a tournament administrator. 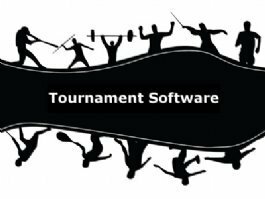 The software tournament media report calculates points for specific players, divisions, or schools and will show point summaries by player and totals for selected groups.